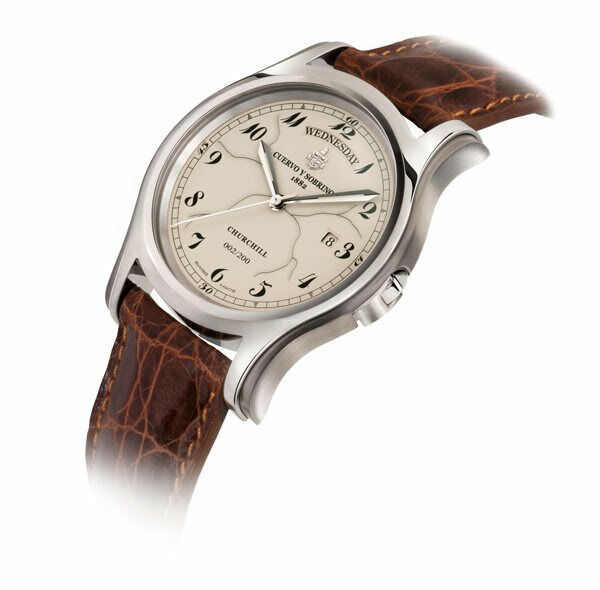 This unique model is a tribute to Winston Churchill, cigar "aficionado" and former client of the Cuervo y Sobrinos boutique in La Habana. It is produced in a limited edition of 200 pieces. The new model of Cuervo y Sobrinos reflects once again the essence and philosophy of this singularly unique Swiss brand: respect for Latin origin and tradition combined with state-of-the art watch making competence and know-how. Unique crown system: the case is equipped with a "key" instead of a classic crown. The "key" is almost integrated in the case with a stronger protection compared to a classical crown.